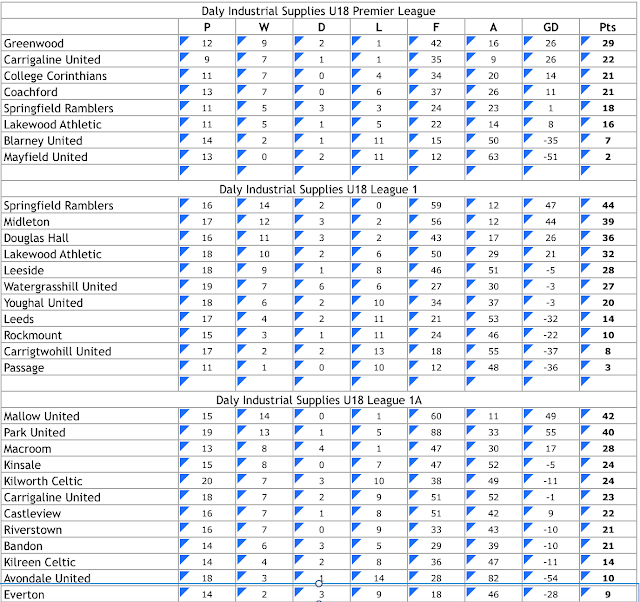 Daly Industrial Supplies U17 League 1A: Greenwood 1 St Mary’s 1. 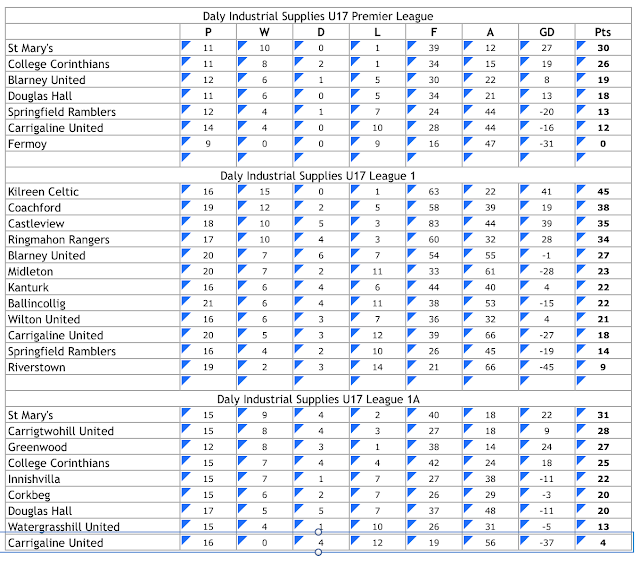 Daly Industrial Supplies U18 League 1A: Bandon 1 Park United 4, Kinsale 7 Riverstown 4, Macroom 7 Carrigaline United A 0, Mallow United w/o Kilreen Celtic scr. Teddy Healy Cup semi-final: Douglas Hall 2 St Mary’s 1. 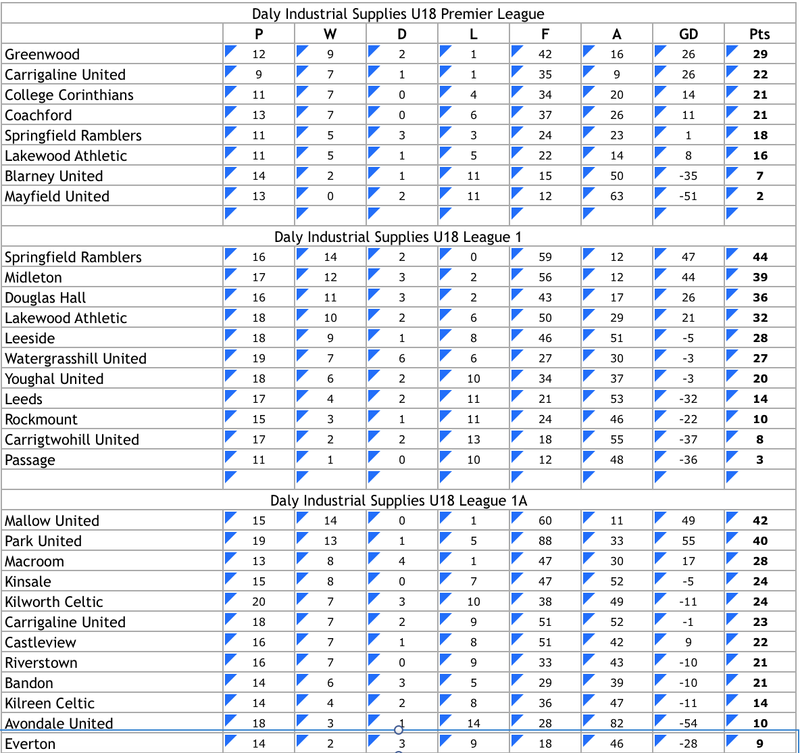 Daly Industrial Supplies U17 Premier League: Blarney United 6 Carrigaline United 0. 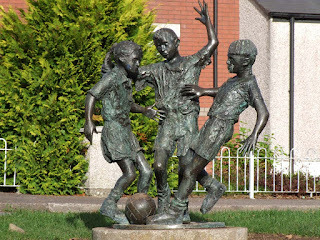 Daly Industrial Supplies U17 League 1: Coachford 0 Kilreen Celtic 2, Kanturk 6 Carrigaline United 3, Ringmahon Rangers 4 Riverstown 0, Springfield Ramblers 1 Ballincollig 2, Wilton United 2 Blarney United A 2. Daly Industrial Supplies U17 League 1A: Watergrasshill United 2 Douglas Hall 3. Daly Industrial Supplies U18 League Cup final: Carrigaline United L Greenwood L.